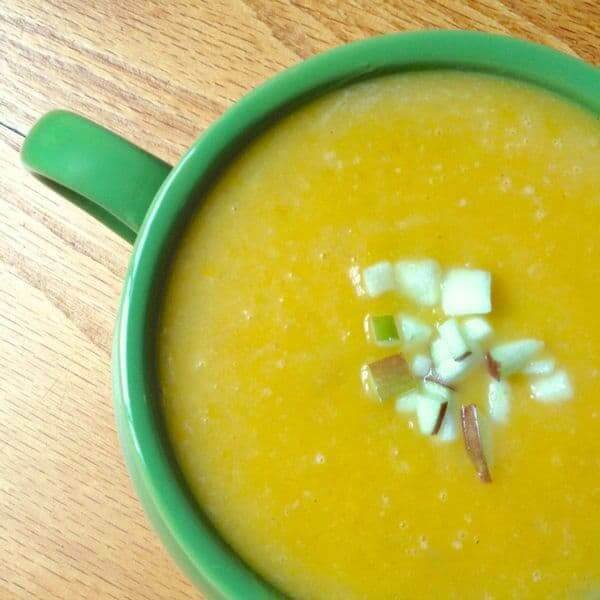 This healthy and comforting Crock-Pot® Slow Cooker Butternut Squash Soup recipe is made with smoky chipotle peppers and a hint of warm cinnamon. 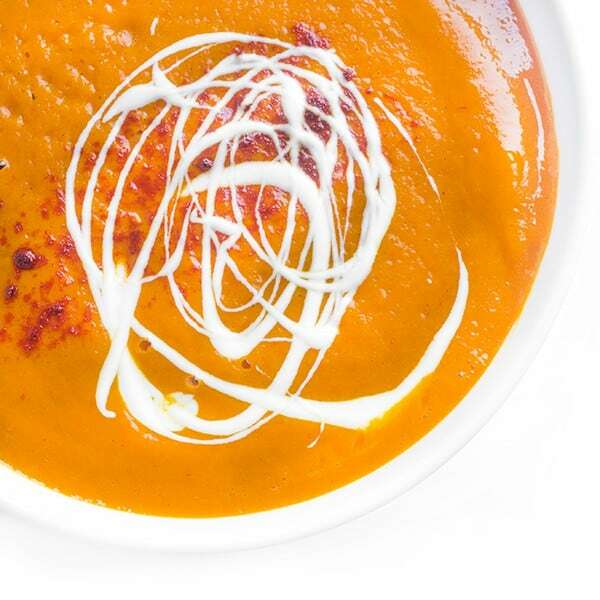 We love butternut squash soup and eat it all the time during the fall and winter months. 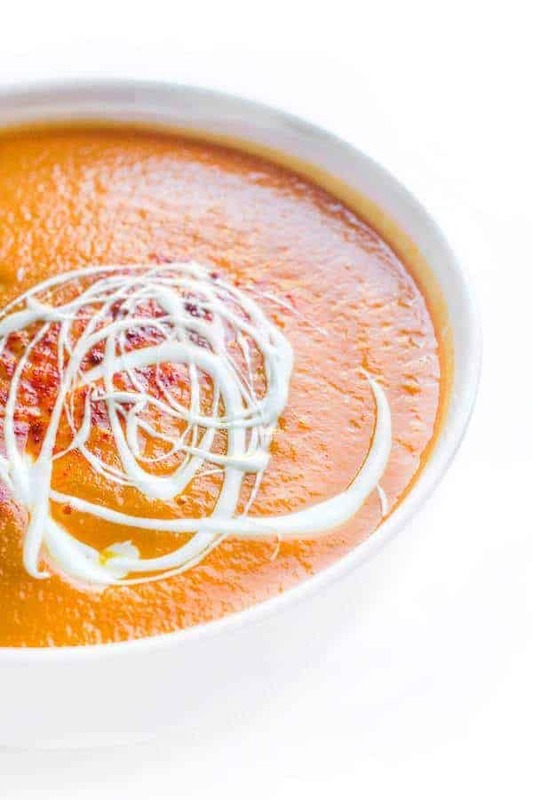 Comforting, nutritious, flavorful and versatile, you really can’t go wrong with butternut squash soup. To make it even easier to get this luscious soup on the table, I turned it into an easy make-ahead slow cooker soup recipe. Carrots add a hint of sweetness to offset the subtle smokiness and heat from the chipotle peppers in adobo. 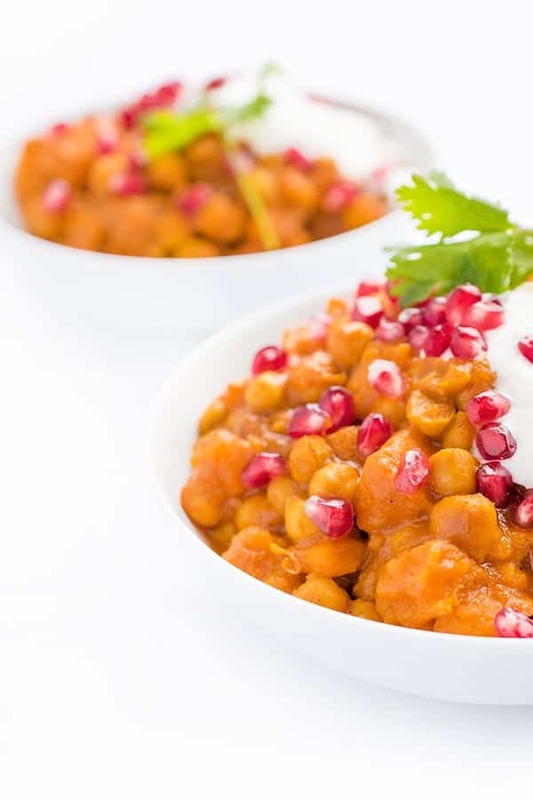 For added creaminess and acidity to balance the entire dish, I like to drizzle each bowl with a little plain yogurt right before serving. 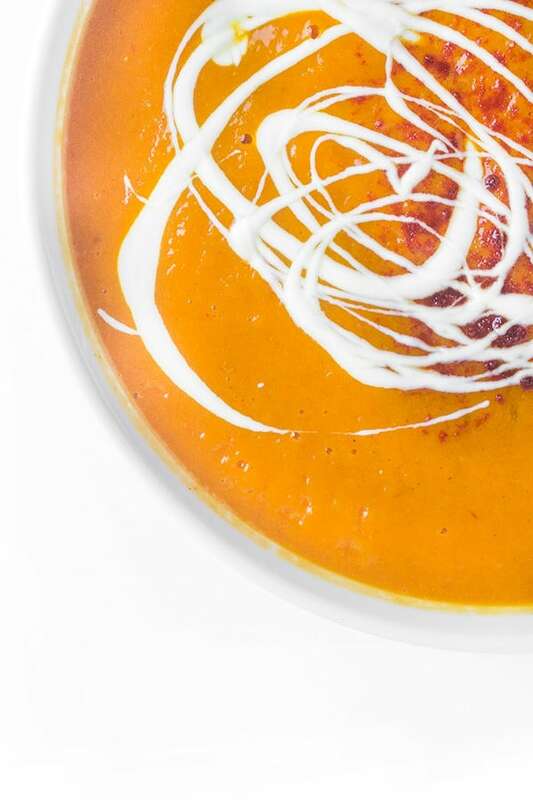 As an added bonus, topping the soup with cold yogurt is a great way to cool down the dish for hungry toddlers eager to take a bite. Place all ingredients inside a Crock-Pot® slow cooker and heat on High for 4 hours of Low for 8 hours. To puree, use a handheld immersion blender or place in a high speed blender and pulse until creamy. Check for seasoning and adjust accordingly. If you want a thinner consistency, add more chicken broth. Drizzle with plain yogurt to serve. Need more soup recipe ideas? Check out my Pinterest board to find the perfect one! Do you know how long I should cook this on a stovetop? You can use vegetable broth Erin. How many servings does this recipe make, please ? Four servings- sorry about that! This is delicious, but are you supposed to leave the peppers in when blending?! Sadly, it’s way too hot for my husband, but it has great flavor! You can take them out to make it more mild! That looks so good! Love your photography! Thank you so much! Raul is amazing! I LOVE the chipotle peppers in this. And super bonus that this soup is made in a Crock Pot! Butternut squash soup is one of my favorite things about the fall! I can’t wait to try this crock pot version!! Love the addition of adobo sauce here!